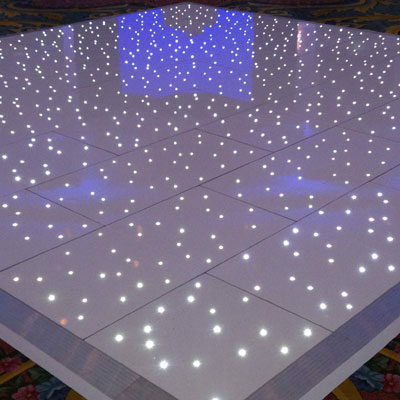 Our brand-new LED digital starlight dance floor will give your event a true “WOW!” factor. Featuring hundreds of mesmerising, sparkling and twinkling coloured LED lights, these are illuminate from within the floor below. 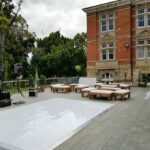 15 programmable light colour options are available (not just white) which can be changed throughout the night using a wireless remote control which is provided with every illuminated LED dance floor for hire. Your options are almost limitless as you can also programme the coloured LED lights to flash and twinkle, or remain static. With the easy-to-use remote control, the speed and intensity of the flashing lights (if you want them to flash) can be adjusted. And you know what’s really cool? You can even programme the tempo of the flashing to match the rhythm of your first dance! 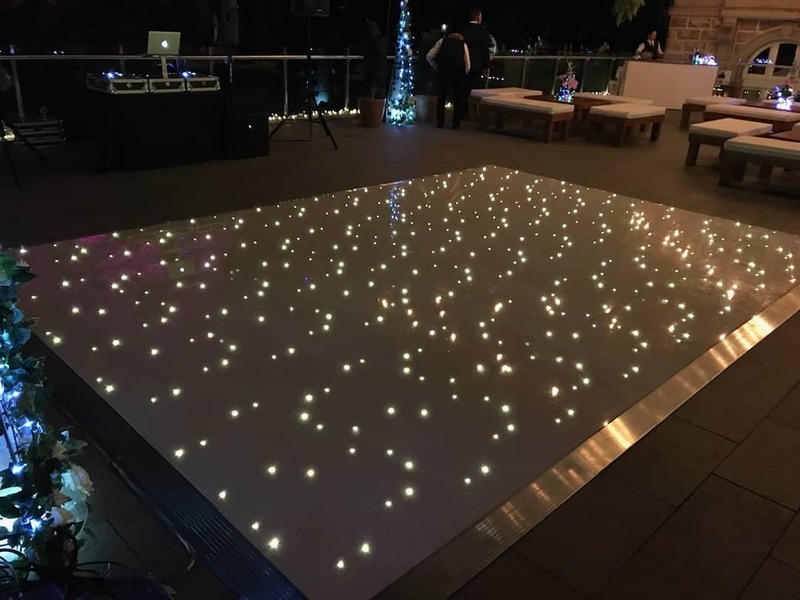 Not only do these dancefloors twinkle, or flash, but the choice of 15 different colour settings, including white, and there are also 30 different pattern effects (create hearts, a countdown, a personal message, the bride and groom’s or company initials, etc.) 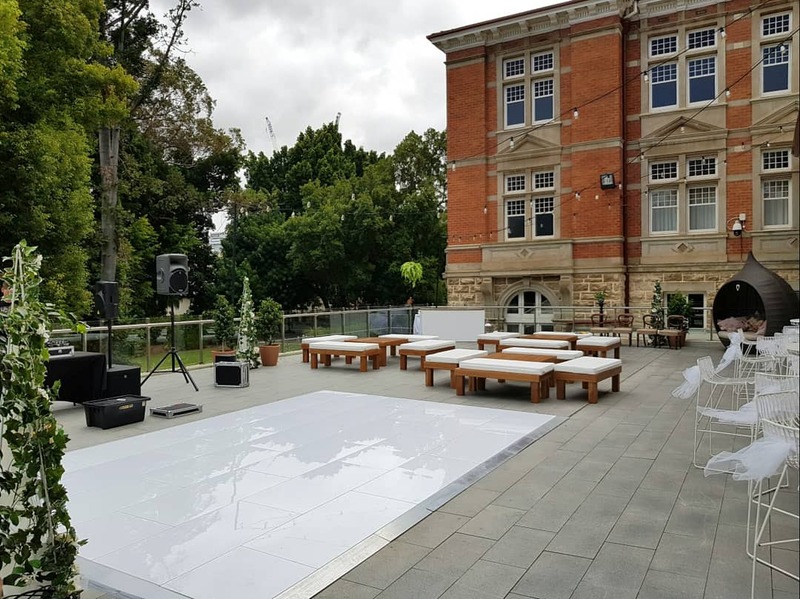 If you’re getting married, then an LED dance floor will really give your guests something to talk about, and you those extra-special memories of your first dance as a married couple. 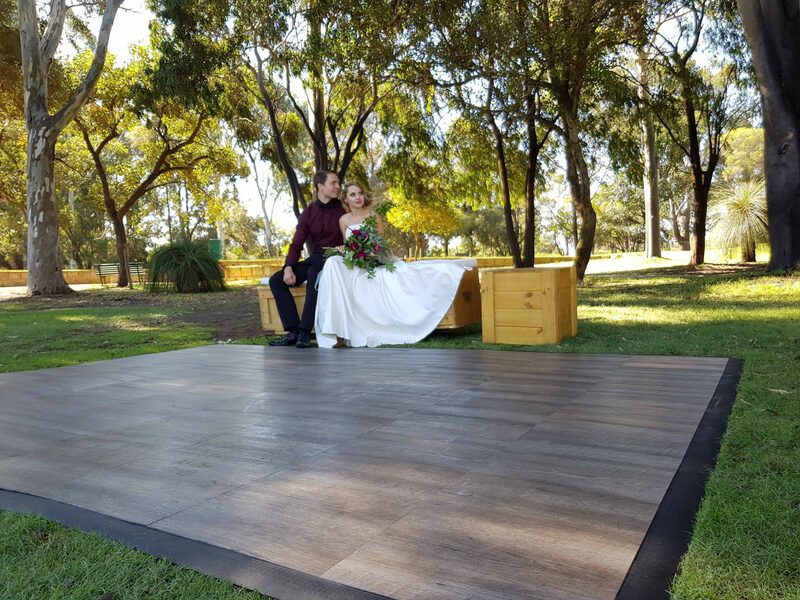 Whether you are actually there or are looking at a photo or video of the day’s events, dance floors always look truly magical! 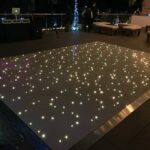 Black Label Events are proud to be able to supply the full ‘coloured’ Starlight Dance Floor. Contact us today for a quote – we think you will be very surprised at the cost, and in a good way! 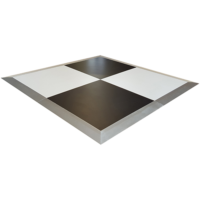 Our most common dance floor sizes, can be installed to any size, not only square. 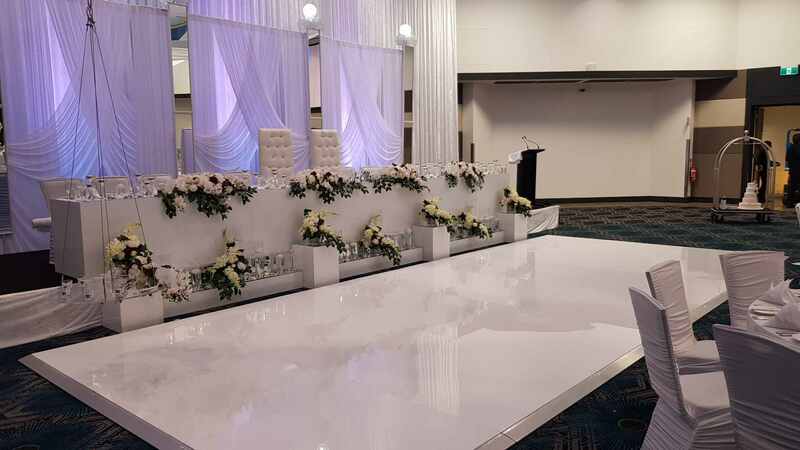 Guests numbers represent total number of guest at your event not on dance floor at one time.